A recent expensive crash involving a BMW is sadly one of dozens of pricey car crashes in South Africa. Owning a sports car is a thrilling experience and there’s no way of getting around it. The technology is next level and a very expensive hobby. It’s exciting to drive it but if you aren’t cautious, things will turn out worse than you will ever have imagined. 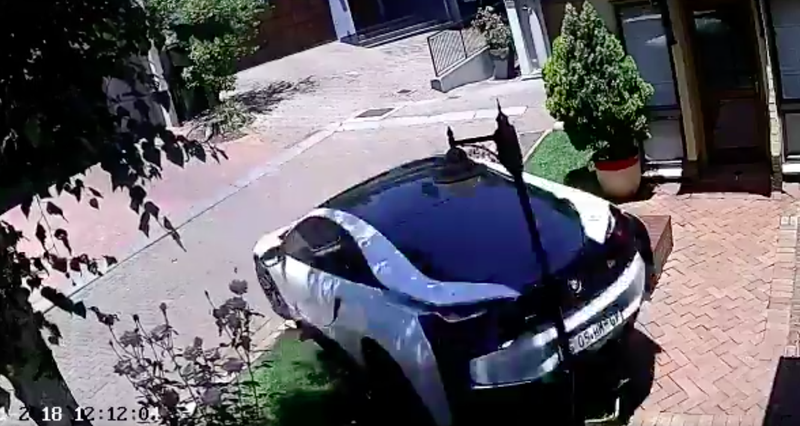 A video shared on social media showed a BMW i8 reversing from a driveway of a neighborhood. Instead of stopping in the road, the driver lost control reversed too far! We cannot imagine the damage to the car but it will be thousands of rands! In the video, the distraught driver gets out of the vehicle after 40 seconds. Onlookers came out of the houses to see what was the big crash. Would you buy an expensive sports car?